Our first National President was born Laura Barton, June 29, 1846 in Baltimore, MD. While in high school Laura, her Sisters and Mother, made bandages for Soldiers, while her Father gave aid to the 6th Mass. Regiment. Laura taught school before and after her marriage to Comrade McNeir and they had three children together. Laura was a pioneer member of the Loyal Ladies League and represented them at the first organizational meeting called by the G.A.R. in Denver, CO in 1883. Known as a gifted writer and orator, she made an elegant plea regarding eligibility, which was disregarded and she withdrew from the meeting, going on to become the Mother and first National President of the Ladies of the Ladies of the G.A.R. Laura was elected at the first National Convention in Chicago, IL in 1886, and served two years which were plagued with money problems and confusion due to the change of organization name. During her tenure, Departments were established in NJ, PA, CA, IL and KS with provisional Departments forming in OH, WV, DE with a national membership of 3,658. Laura accepted an invitation from the National Woman’s Suffrage Association to represent the Ladies of the G.A.R. and speak at the International Counsel of Women on March 25, 1888 in Washington D.C. In that speech (found?) she stated that she could not “ask woman’s right to vote from a Congress which forgets to protect the vote of her bravest men.” Following her convention (September 12, 1888 in Columbus, OH), she made several attempts to start and edit a newspaper for the LGAR by subscription with little success until 1921, when the National Organization agreed to assess the Departments to pay for this paper for all members. Laura then worked as the first Editor of the “Bugle Call” for ten years to make it a successful instrument in communicating the interests of the Ladies of the G.A.R. As a widow in 1919 Laura left PA to live with her son in Culver City, CA and in 1921 she married General George Loud, PCC of the Department of NY. They shared two happy years together, after which she lived alone for 11 years attending Department and National Conventions whenever possible. In addition to her other activities, Laura wrote the first short history of the organization. Due to failing health, she moved to a bungalow with her son and grand-daughter until her death July 25, 1934. She was interred at Forest Lawn Park in Glendale, CA where the National Organization erected a monument in her honor in 1936. Caroline Virginia Smith was born April 7, 1854 in Allegheny City (now North Side Pittsburgh) and died June 21, 1943 in Los Angeles, CA. She joined the Loyal Ladies League November 11, 1886 and served as Assistant Secretary at the first National Convention in Chicago when the name was changed to Ladies of the G.A.R. She served as President of Colonel John C. Black Circle #11 in 1888 and as Department President of PA from 1889-1891. In 1889 she sent a special General Orders to obtain aid for victims of the Johnstown flood and was the first person along with the Secretary and Treasurer to physically go to Johnstown with money and help. As one of the founders of the PA Home (later knows as Swissvale), she served as the head for a number of years. In 1892 she instituted the Department of NY and authorized Amanda Wethern, Sr. Vice President of MN to institute that Department. Carrie also instituted the first Circles in WV and AK as well as others in MI, SD, CO, MS, WA and IN, adding 3,380 members in all. When the PA Home burned, she personally raised $1400 toward rebuilding. Serving as President of the Hospital Association of Western PA, she was responsible for generous contributions to at least 4 hospitals. In 1896 Carrie was asked by the Republican National Committee to take charge of a luncheon at City Hall to serve 2,000 Confederate Veterans on their way thru Pittsburgh to pay their respects to President McKinley. Carrie’s husband, Charles French Sheriff, served as President of the Association of Union Prisoners while she served as President of their Ladies Association. The Sheriff’s had one daughter named Anna. Carrie based her eligibility on one of three brothers who served in the Civil War. In 1904 Carrie moved to CA where she continued very active membership with the LGAR, attending her last National Convention in 1940. She was interred at Forest Lawn Cemetery in Los Angeles, CA. *M . Anna Hall 1902-3 Wheeling, W.VA.
Edith B. Brown joined “Fairchild Circle #25” on December 12, 1900. She derived her eligibility as the sister of Charles O. Fellows, PVT in Co E of the 140th IL Volunteer Infantry. She served as CA Dept. President in 1907, and on the National level several appointed Offices as well as Sr. Vice President. Her convention was held Sept. 3-4, 1914 in Detroit, MI. During her administration, the National Organization petitioned Congress to grant widows of Civil War Veterans over 60 years of age a $20 per month pension. The organization was also encouraged to protest a Bill before Congress which wanted to change the American Flag. As an organization whose purpose it was to maintain records, our first National Registrar was appointed and proposition books for eligibility were first made available during her year. She recommended that resolutions be adopted by the convention calling upon Congress to enact a law to fly the Flag on every school. The Bugle Call became our official paper, and as such, was first published March, 1913. Edith had a Bill introduced in the House of Representatives encouraging the designation of June 14th as Flag Day. Through her, we continued to support the Army-Nurses Association financially, and endorsed passage of the Army-Nurses Pension Bill. She lived on Hillcrest Ave. in Pacific Grove, CA and died in 1925. On October 24, 1924 Nancy Adeline “Addie” Conaway (Nancy Conaway’s Grandmother) joined Mother McKinley Circle No 4, Ladies of the Grand Army of the Republic, in Martins Ferry, Ohio. ON September 25, 1929 her son, Isaac Grant Conaway married Mildred Lucille Singhaus of Adena, Ohio. The witnesses at the ceremony were Mrs. Conaway and Mildred’s mother, Mary Alice (Heaton) Singhaus. One of the first things Addie asked her new daughter-in-law was “Did you havea nay realtives in the Union Army during the Civil War?” Mildred replied “my grandfather, Francis M. Heaton was in the Army.” They did some research and on March 19, 1930 Mildred joined the Circle. On December 26, 1930 Nancy was born to the couple and named Nancy Alice after her two grandmothers, because several babies in the Conaway family had been named Mary and died in infancy. On May 22, 1936 a son, Harold Thomas, was born. In 1943 Harold became ill with rheumatic fever and was confined to bed for months and lovingly cared for by Mildred. In 1944 he was able to return to school and completed the third grade in May 1945. Harold had been left with a weak heart after his illness and after a brief illness he died on June 27, 1945. At that time the attendance at the Circle meeting was low and Nancy began to attend and she loved it. She was elected Jr. Vice President but filled Sr. Vice President due to that officer being absent. She was elected Circle Presidnet in 1957 and represented the Circle at the Department Convention which was held in Columbus that year. Molly Mercer was the Department President and she appointed Nancy to serve as a Page and at the election, Nancy was elected to the Council of Administration, her first Department office. Mildred did not attend the convention that year as Isaac was ill. On November 27, 1957 Isaac died and on December 10, 1957 Mildred’s mother, Mary Singhaus died. From then on it was just Mildred and Nancy. In June 1958 Mildred was elected Department President of Ohio and she appointed Nancy as her Secretary, the first of many shared years. The National Convention that year was held in Boston and Mildred and Nancy attended it. They missed the National Convention in 1959 but attended the National Conventions in 1960, 61 & 62 as Molly Mercer was going through the national offices and Ohio had large delegations those years to support Molly. When Molly was elected National President in 1963, she appointed Nancy as her National Secretary. When Alma Blixt of Minnesota was elected National President, she also appointed Nancy to be National Secretary. In 1965 Nancy was elected Department President serving in 1965-66 but they missed the National Convention in 1966 as Mildred was in the hospital at the time. They returned to National Conventions in 1967, 68, 69, 70 but missed in 1971. Returning to the convention in 1972 they attended every convention together until Mildred’s death in 1993. In 1969 she was again elected as Department President of Ohio and in 1974 was elected National Chaplain and served that term but in 1975-76 she served as National Secretary for Edra Gene Tighe of California and in 1976-77 for Elizabeth B. Koch of PA. IN 1977 she was elected National Jr. Vice President and in 1978 was elected Sr. Vice President. Nancy was elected National President in 1979 in Hartford, Connecticut and presided at the National Convention in 1980 at Richmond, VA with Mildred by her side as National Secretary. In 1985 Nancy was elected Editor of The Bugle Call and served for 17 years. During that period Mildred died on June 18, 1993 but Nancy continued attending the National Conventions. In 2001-02 she was again elected Department President of Ohio, for the third term. Including 2011, Nancy attended 55 consecutive Department Conventions, and 51 consecutive National Conventions. Nancy passed away on January 29, 2012, and had 6 LGAR sisters and one SUVCW PCinC in attendance at her funeral. Nancy’s inspiring membership in the Ladies of the Grand Army of the Republic has been exemplary, as she was a supportive mentor for countless younger members. Lois Jane Reffner was born December 1, 1924 in Braddock, PA and passed October 20, 2008. She was the daughter of railroader Collins and his wife Mary Margaret Snyder Reffner. She graduated from Pitcairn High School in 1943. Lois worked at various Pittsburgh area businesses including the now gone: G.C. Murphy Store in Wilkinsburg; Westinghouse; Stallings Bakery in Pitcairn; McKeesport Pharmacy; and Columbia Hospital. She retired from Forbes Hospital following 25+ years as a Registrar/ Bookkeeper. She was proud to have been the daughter of WWI US Army Veteran and the sister of her brother Robert, USAF Air Traffic Controller. She remained single and lived independently through 2008. Lois was committed to patriotism and the community. She served a Secretary of the Ladies G.A.R. (Grand Army of the Republic) Home in Swissvale, PA for three years and was a Life member of the Home Board. (These Board members were members of the Ladies Grand Army of the Republic.) Lois was also a member of the Daughters of the Union Veterans of the Civil War, 1861-1865; Women’s Relief Corp and PA Grand Chapter for Order of the Eastern Star. She was a member and taught Sunday school at the United Methodist Church of Pitcairn, PA. She was a volunteer resource on PA heritage. She maintained membership with the Ladies Grand Army of the Republic (Department of PA) through her passing, and was a member of Harrisburg Circle #20 at that time. An avid traveler and automotive expert, Lois traveled extensively across PA and to national Ladies Grand Army of the Republic functions. She was very passionate, and taught patriotism to all age groups. She was known for saying her intent to “give them ‘Glory Hallelujah’” when she saw a wrong. She loved small children, and always had candy or knickknacks on hand for them. She also educated them on patriotism and volunteer work at Swissvale’s Ladies G.A.R. Home. Her nephew Jeffrey Reffner recalled volunteer work for youth that included cutting grass, and scraping paint for the Swissvale Home. She inspired others to join our organization, including her cousin Debbie Shontz who has maintained active membership since 1960. Lois’ travels included patriotic speeches to civic and community organizations and supported preservation efforts. She raised money for memorials, landmarks, including the battlefield at Gettysburg National Military Park. Lois invested decades of commitment to the now closed Ladies G.A.R. Home in Swissvale, PA. This institution cared for females who were blood kin female relatives of Union Civil War Veterans. In the late 1960's, the Veteran Descendant requirement was dropped. Federal funding requirements affected the facility’s continuance to serve specific populations. Lois’s attention to detail was reflected in her professional demeanor and commitment to others. She recruited volunteers and emphasized taking time to listen to the residents. These skills were integral dissolution of the Home in Swissvale and the transition to the LGAR Home and Rehab Center in Turtle Creek, PA. Extensive planning occurred with Lois’ assistance. This modern facility opened in 1996 and has retained the “LGAR” letters in their name in honor of the past Swissvale Home. Lois’ final years’ membership activities involved the successful transition of services to this modern facility. Past National President Janice Corfman passed away surrounded by family this evening. Sister Janice derived her eligibility into our Order from her maternal great, great grandfather, James Mansell, who enlisted July 23, 1863 and served from May 2, 1864 to August 27, 1864 when he was discharged for medical reasons. He was a descendant of the Shehy’s who helped to settle Youngstown, Ohio. 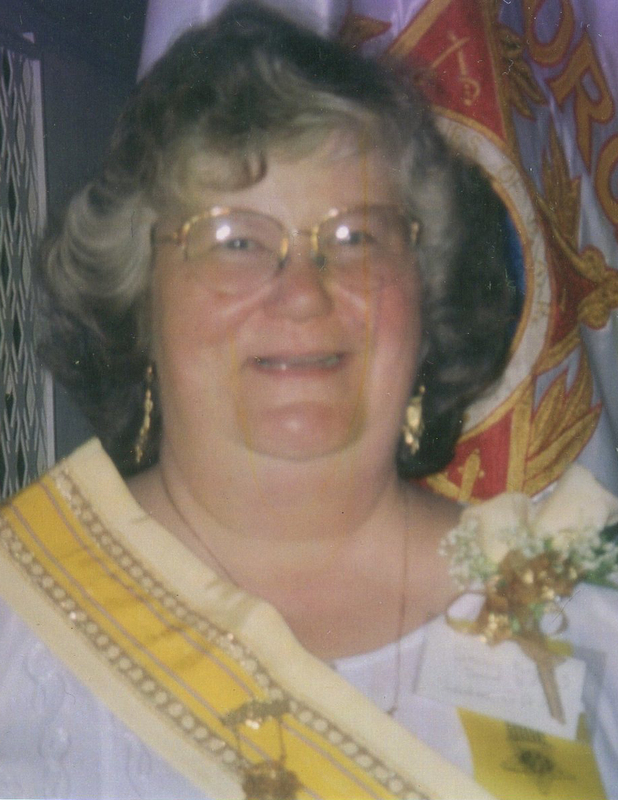 Sister Janice was a charter member of the Robert Burns Brown circle No 103, served as Department President of Ohio in 1981-82, and again 2 decades later. She attended her first National Convention in 1978, and served as the National Treasurer faithfully for 28 years, taking a break for one year to serve as the National President in 1985-86.